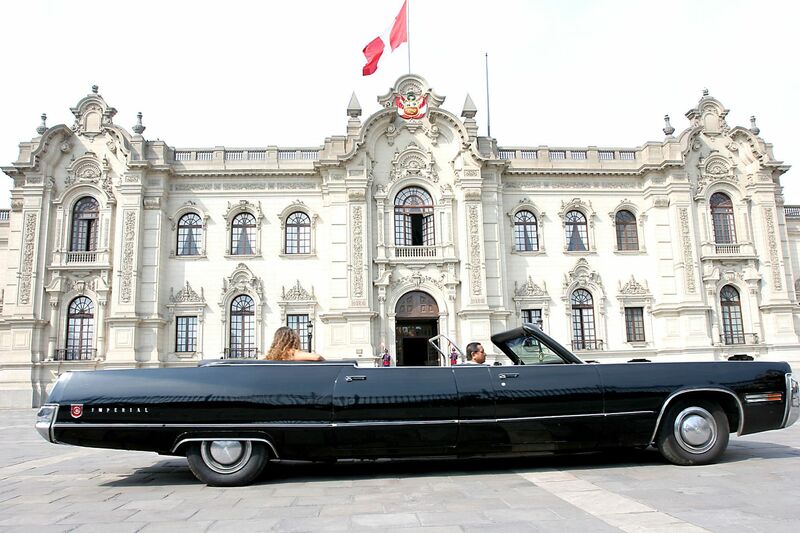 Relations between the United States and Peru took a huge nosedive when General Juan Velasco Alvarado seized power via coup in October 1968, and didn’t seem to improve much during the nearly seven years he held office. Still, he needed wheels, and in late 1972 somehow managed to order and take delivery of a couple Chrysler limousines. While looking for something else, we came across the photos that denizen24 took of both limousines back in 2010 and we decided to dig for more info about the two sizeable schooners. 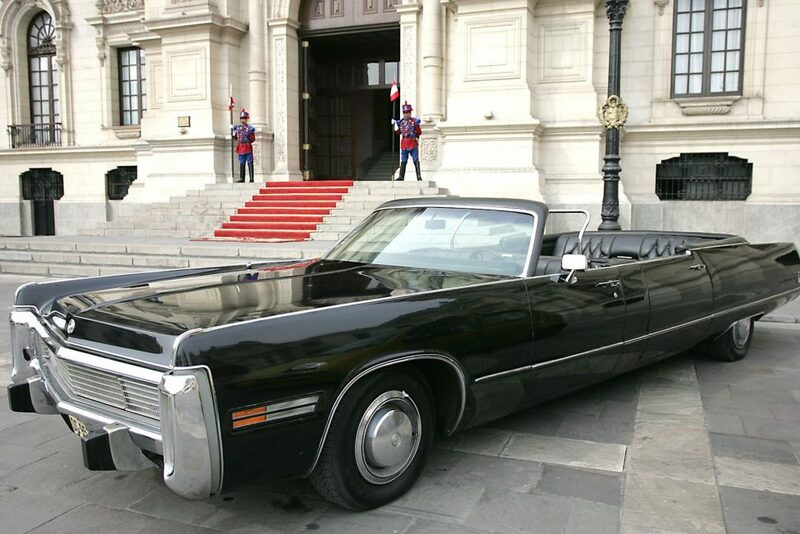 According to denizen24, the more grand of the two is a 1973 Imperial LeBaron convertible which weighed in at 5,800 pounds (only about 800 pounds more than a regular Imperial four-door hardtop), while the more utilitarian of the two is an armored 1973 New Yorker that tips the scale at 9,557 pounds (more than double the weight of an un-behemothed New Yorker Brougham four-door hardtop). Naturally, we wanted to know who built these two. Chrysler stopped farming out its limousine production to Ghia after 1966, so Hess & Eisenhardt seems like the next logical choice. 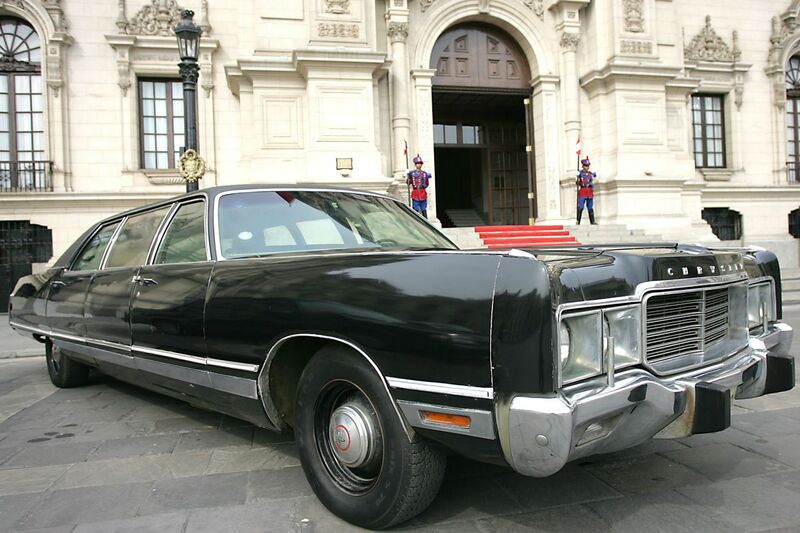 Hess & Eisenhardt did indeed build a couple armored Chrysler limos in 1972, as we see from the Online Imperial Club, but those don’t appear all that similar to these two. Stageway, as we discovered, did produce Imperial LeBaron limousines for Chrysler following the end of Chrysler’s relationship with Ghia (in addition to its airport limousines), and indeed the enclosed New Yorker appears very similar to the Stageway limos with a blank panel between the front and rear doors. The Imperial convertible, however, appears more refined than Stageway’s typical just-add-more-doors approach; we also don’t see any evidence that Stageway ever built a convertible limousine for Chrysler. Whatever cars, if any, that Alvarado — who proved unpopular with American officials more for his leftist policies than for his method of ascent to power — replaced with these two barges, we’ve yet to find out. However, he continued to use them throughout the remainder of his time in power, as did the general who kicked him out of power and the democratically elected president who followed. 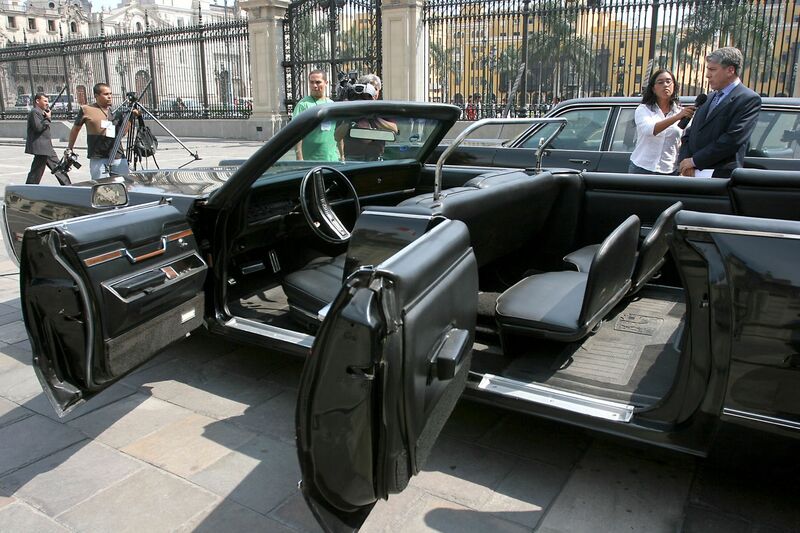 As denizen24 noted, both limousines remained in use until Alan Garcia Perez was elected in 1985. After retirement, the limousines were declared national treasures, though that designation apparently wasn’t enough to keep the Peruvian government from selling them off. Reportedly, both went to auction in 2007, with the Imperial selling for $35,000 and the New Yorker selling for $8,300. Where they’ve gone since then is anybody’s guess.